Pro-Line By The Fire 2018, May 19-20 « Big Squid RC – RC Car and Truck News, Reviews, Videos, and More! 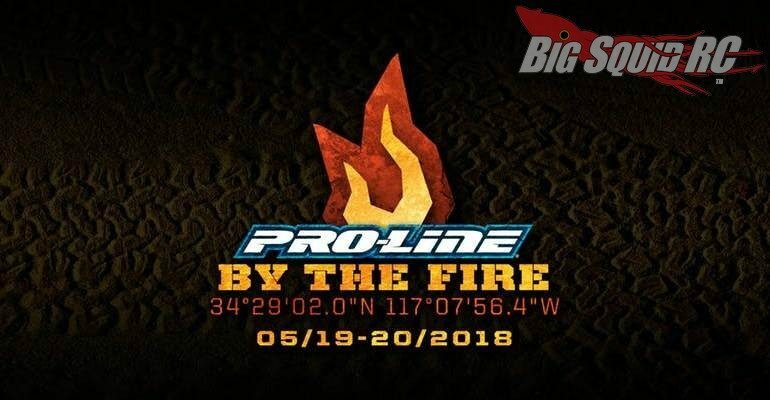 That’s right folks, Pro-Line’s By The Fire 2018 is nearly here! This is a friendly reminder to get entered early, or to make sure all your rigs are nearly built for the event. Pro-Line’s By The Fire is a scale adventure that has gotten great reviews in the past, with many people putting it as a “must attend” type of event. What type of things can you expect at the 2018 running of By The Fire? Right now, with under a month before By The Fire 2018 kicks off, is a great time to get pre-entered. You can hit up This Link to jump over to the By The Fire Eventbrite page, or you can Click This Link for the official By The Fire Facebook event page.